Dramatic promontory setting is secluded behind a custom entry gate & features spectacular oceanfront vistas of rocky wave-splashed points and stunning sunsets. Introducing Cliffhanger, a one of a kind estate located in a forested setting on an oversized lot. 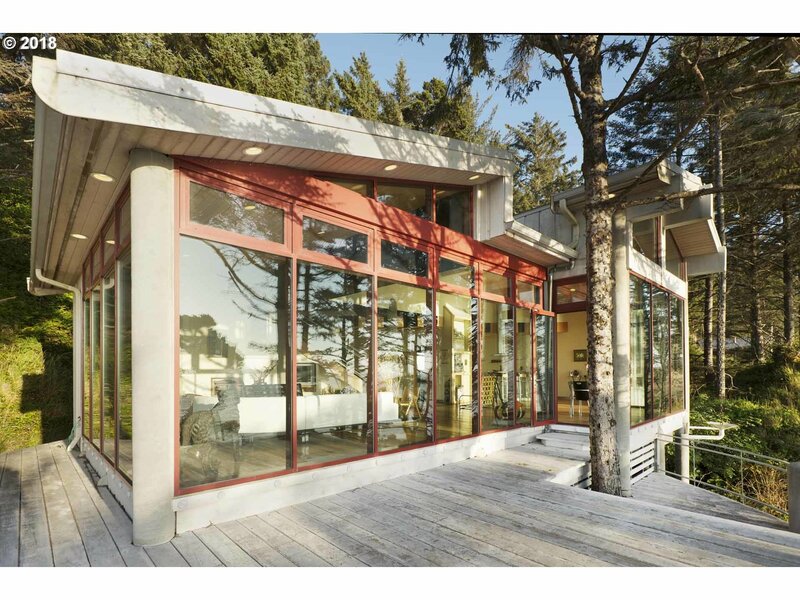 Main home captures the scenery with wall to wall glass and a cantilevered deck over the sea. 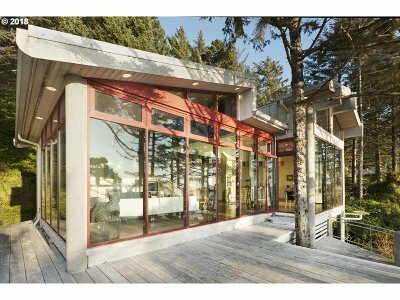 Guest home is sited above the sea also with captivating views and stairs to the beach.